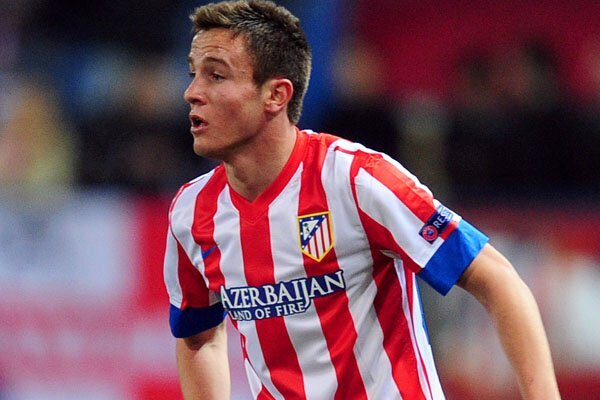 It has emerged today that Liverpool are rumoured to be interested in young Spanish midfielder Saul Niguez. The 19-year old is currently on loan at Rayo Vallecano from Atletico Madrid and has made 18 appearances so far this season for the Spanish outfit. Brendan Rodgers has reportedly held a secret meeting with the Spain Under-21’s International’s Father, in order to try and coax the youngster to the Premier League. This will most likely prove to be difficult as Niguez has a fixed price of £20m in his current contract which will most likely be considered too much. The player is also regarded very highly by parent club Atletico Madrid and is putting in some top class performances this season despite Vallecano winning only 5 of their 20 games so far, and finding them 19th in the Liga BBVA. With Lucas Leiva being forced to the sidelines for a lengthy spell and Joe Allen looking below par so far this campaign, Liverpool could certainly benefit from some back-up in the holding midfield area. The Anfield giants were linked with Brazilian midfielder Romulo earlier this week but a move looked unlikely due to the player having missed the last 18 months of football with a knee injury. There were also rumours of a loan move for former Manchester City player Nigel de Jong but there was nothing concrete. Despite the mass of speculation, it looks unlikely that Brendan Rodgers will bring in any players, particularly after main target Mohammad Salah looks set to join rivals Chelsea for around £12m. Rodger’s remains confident that the deal has not reached a full gone conclusion despite the club confirming on their official website that an agreement had been reached with FC Basel for the 21-year-old Egyptian winger. However, the Northern Irish Coach believes that the current Liverpool team have come so far already, and remains sceptical that a signing is entirely necessary.